They had barely been married two years, and their problems landed them in my study for some counseling. They needed some help. “How is that working for you?” I asked. Uh oh! This couple is headed for real trouble! Genesis 2:18 kept echoing in my mind: “It is not good for the man to be alone. I will make a helper suitable for him.” When God made Adam, he made him to need someone—a wife. Adam’s suitable helper was not a male buddy, a job, an education, or a hobby. It was a woman who would love him and share life with him. That young wife had a legitimate gripe. We intuitively get married to share our lives to the fullest extent with that one other person. Both husband and wife were made to fulfill each other’s deepest need for human companionship. No one and no thing should ever bump our partner from that sacred throne of suitable helper. When something else does come first, our partner feels isolated, cheated, and alone. Mature Christians recognize this marriage principle. The very first thing this couple had to hear was God’s Word about marriage. Many Scriptures offer help, but here you will find one from 1 Peter for your meditation. 7 Husbands, in the same way be considerate as you live with your wives, and treat them with respect as the weaker partner and as heirs with you of the gracious gift of life, so that nothing will hinder your prayers. 8 Finally, all of you, live in harmony with one another; be sympathetic, love as brothers, be compassionate and humble. 9 Do not repay evil with evil or insult with insult, but with blessing, because to this you were called so that you may inherit a blessing. 1. List the phrases you see in these passages that would guide a husband in the way he treats his wife? 2. Name five habits of a considerate husband. 1. He looks at his wife when she is talking to him. 2. He tells her his schedule. 3. He does not volunteer her to babysit or to host a guest at her home without asking her first. 4. He opens the door for her. 5. He helps with house work. 6. He tries to understand her unique love language and then speaks to her in that language. 3. List the phrases in the passages that guide the wife above in how to handle her husband? Verse 8 and 9 speak to both partners so they certainly apply to a wife. In summary, wives need to show respect for their husbands. If they respond to them with insult or sarcasm it will quickly drive him away and make it hard for him to love her the way she needs for him to. Husbands are more fragile than their tough exterior lets on. 1. What compromise can the couple above create in order to suitably help each other? This husband can make it his aim every day to spend the first hour at home communicating with his wife and catching up after a long day. She has been missing him and needs to have his undivided attention. It is a big part of what she signed up for. On the other hand, she can let him call his buddy after that and let him talk guy with that buddy. His friend will give him good vibes that a woman cannot give. Then she will get a better husband in return. Basically, they need to work out a plan where they both give a little out of love and reap the rewards of a close partnership as they listen and respond. 2. Think of a couple that you know that offers a great example of Christian marriage. Find a way to tell them what you are learning from them. be more encouraged to be like them, and you will be closer to them through your admiration of them. 3. Each day choose three things your partner does that make you happy. Tell him or her about them. Learning to focus on the positives is scriptural (see Philippians 4:8). When we do look for the good it turns the friendship around and helps us feel respect for each other. Positive reinforcement works. As we compliment each other we will feel the ice between us begin to thaw. It takes a while to defrost a relationship, so don’t give up quickly. Practice giving compliments three things daily for 30 days and then you will notice a marked difference in your friendship. Copyrighted by WELS Forward in Christ © July 2010 reprinted with permission. God made great promises to Abraham, but for 25 years, Abraham only had God’s word that the promises would come to pass. It was not easy to believe what God promised, but believing God’s word is a trait of spiritual maturity. God put Abraham through difficult circumstances to teach him to trust God’s word above everything he could see, feel, or understand. Abraham and Sarah did not always fully trust God’s word. During the 25 years they waited for God to fulfill his promises, they wavered and even attempted to help God along. Sarah suggested that Abraham have a son by her handmaid, Hagar. But that was not God’s plan. When God promised that Sarah would give birth to a son, both Abraham and Sara were well past the childbearing years. They both chose to believe God rather than what their experience taught them. Once their son, Isaac was born, Abraham continued to believe God’s word. He followed God’s instructions to sacrifice Isaac because he believed God’s promise that this son would be the father of a great nation. God’s instructions were against every natural emotion and thought. It even seemed contrary to God’s earlier promises. Yet Abraham trusted God instead of his own thinking. The writer to the Hebrews (11:19) tells us that he reasoned that God would raise Isaac from the dead. Abraham was a top student in God’s school of faith. He learned God’s lesson, “Trust in the LORD with all your heart and lean not on your own understanding” (Proverbs 3:5). We too are in the school of faith. God gives us his word and then guides us through many different and difficult situations so we can learn to trust his word above our circumstances. The apostle Paul was like a New Testament Abraham. He served God faithfully, but time and again God put him in strange and life-threatening situations. Often he was sick or persecuted, but he never lost faith in God promises. In the reading below Paul teaches us to live by faith in God’s word and not by sight. future, nor any powers, 39 neither height nor depth, nor anything else in all creation, will be able to separate us from the love of God that is in Christ Jesus our Lord. 1. Name some terrible circumstance that Paul passed through in his life. You can get help from 2 Corinthians 11:24-27 and Acts 9–28. As soon as Paul began preaching Christ, there was a plot to take his life. Later he was stoned. He was shipwrecked, bit by a viper, and abandoned by friends to name a few. He was also lied about and insulted. 2. What does it mean to be more than a conqueror? It means to live in a realm above the problems themselves through faith in God’s ultimate deliverance and good will in our behalf. We don’t have to see the deliverance to be encouraged because we know God is not far away and that he soon release us from our trials. You might also look at Philippians 3:17-21 and Romans 8:18,19. 3. Read through the list of things that Paul says can threaten us. Describe how each could do so. Death threatens our very existence. It is the most frightening thing we all face. Life sometimes threatens us so that we afraid to leave our homes and face the day. Angels are spirit beings and so we would naturally afraid at first when we would see them. Demons are unseen and yet so unpredictable that the very thought of having them work on us scares us. Present problems and the dread of future problems can overwhelm our sense of happiness and well being. Height and depth may refer to cliffs and seas that threaten our lives. They could also refer to heights and depths in our experiences. 4. How does Paul teach us that God shows his love for us? He shows his love for us in the cross of Christ. When we think of Jesus death and resurrection that promises us life forevermore and when we think of his Lord’s Supper that brings him near to us—we experience the love of Christ in any and all circumstances. 5. What promises of God’s love stay constant in all circumstances? The love of Christ comes through his word, the gospel, and it is done deal with all of its beauty. It is proclaimed to us no matter where we find ourselves and it always promises impending rescue through the Savior who once came and will come again for us. See John 14:1-6. 6. How do these promises sustain us in every circumstance? When we hear the love of god in Christ it gives us hope in the Lord and not in ourselves or others. See also Philippians 4:6-7, Jeremiah 17:5-10. 1. Name some circumstances that have tempted you to doubt God’s love for you. When we have a serious illness or a serious auto accident, or lose our job or have a large financial setback, or when we lose a loved one—all of those times tempt us to doubt God’s love for us. 2. Go to a friend who is suffering some sort of trouble and read Romans 8:37-39 and explain it to him or her. In explaining to another person we will also be ministering to ourselves. The Holy Spirit helps the speaker and listener through his powerful word. 3. Explain how Paul is teaching us to walk by faith and not by sight in this passage. He wants us to know that God is always on our side and is always working for us even though we cannot always see it. We are his children by declaration of the gospel and not because life on earth goes this way or that. Copyrighted by WELS Forward in Christ © June 2010 reprinted with permission. What do all of these people have in common? They all exhibit a lack of discernment regarding what they take into their minds and hearts. When God created us in his own image, he always intended that we would think his thoughts. He never wanted us exposed to evil ideas much less stack them like cord wood in our minds. He wanted us to understand that his thoughts are truth and bring many blessings. There is a saying in the computer world that applies to our minds, “Garbage in, garbage out.” If you put garbage in the memory of a computer, it won’t drain out later when you turn the computer off. It stays piled there until it is erased. It often comes out later to affect other computers connected to it on the Internet. We call them computer viruses. Just like computer viruses, worldly ideas infect people all over the world every day. God wants us to filter out what opposes his truth and would harm our faith. He wants us to be careful so we are not drawn away from his grace. Spiritually mature people understand this. They put safeguards in place to guard their minds and lives from evil influences. The writer to the Hebrews wanted his readers to start practicing discernment regarding all the worldly and wild religious ideas they were hearing. Let’s study what he told them and reclaim for ourselves an aptitude for discernment. Read Hebrews 5:11-14 and answer the following questions. We have much to say about this, but it is hard to explain because you are slow to learn. 12 In fact, though by this time you ought to be teachers, you need someone to teach you the elementary truths of God's word all over again. You need milk, not solid food! 13 Anyone who lives on milk, being still an infant, is not acquainted with the teaching about righteousness. 14 But solid food is for the mature, who by constant use have trained themselves to distinguish good from evil. 1. After you read the entire passage, what clearly is God’s goal for every Christian? God desires that all Christians keep growing into mature believers who can handle ever more solid theological food. He doesn’t want anyone to stop at an entry level of biblical knowledge. 2. What does it mean to be acquainted with the teaching about righteousness? It means to have a full understanding about how we derive our righteousness from God and not from our own doing, thinking, or choosing. It also means that we understand how the gospel changes us to live faith- and love-motivated lives that have a righteousness from faith instead of from the law. It means that we understand how the Scriptures display God’s plan to bring this righteousness to humanity from the first time he walked into the Garden of Eden and found our sinful parents to the end of Revelation. 3. What does the writer say in verse 14 that the mature person does? A mature person is trained in discerning good from evil in choices of human behavior, in theology, philosophy and any other issue having to do with people, God, and his world. 4. How do we use the Scriptures to help us discern good from evil? We use Scripture to discern good from evil by taking the questions, temptations, and opportunities we have in this life and filtering them through what the Bible has to say. We also learn to discern by having a regular diet of Bible reading and study so that the insights of Scripture are flowing through our minds and hearts in a fresh way all the time. 1. Describe what happens to a person who does not discern right from wrong when taking in different media. If a person does not practice discernment then he or she becomes like a wave tossed to and fro by every wind of idea or teaching. What we watch and listen to will affect us. We cannot stop it from doing so. So, we must learn to confront every story (i.e. movies and TV shows), thought, and idea with good faith-based questions and biblical answers that help keep the good and throw away the bad. 2. How does discernment help us to live happier lives? We can avoid huge mistakes that will affect us for years to come by practicing discernment today. Also, we will leave more room in our lives for the good things that bless us if we keep from being distracted by silly and harmful ideas and actions. 3. How does truth demand discernment? There really is only one truth about anything. So, true discernment is getting down to what the truth of any matter really is. Then we learn to avoid all other ideas that counter that truth. This is shown very well at the beginning of the Bible when Eve was tempted by Satan to go against the one simple truth of what God wanted for Adam and her. 4. What are the reasons we might become lax in discernment? Our hearts are very deceitful, and they love to sin (Jeremiah 17 and Romans 7). So, we easily fall into laxity regarding God’s will and ways. Also, we can get tired of the exhausting task of filtering everything we read, see, and hear. Then there also is peer pressure. It is not always popular in a fallen world to stand up and go against the tide. Contributing editor Donald Patterson is pastor at Holy Word, Austin, Texas. This is the fifth article in a 12-part series on Christian maturity. Copyrighted by WELS Forward in Christ © March 2010 reprinted with permission. Oh, if the chairs in my study could talk! It amazes me how the same chair can hold people with such different views from one day to the next. One week a man whom I was recruiting to teach Sunday school sat in a chair in my study and declared, “Pastor, I would love to help, but I just don’t think I have the gifts.” He was selling himself short. I had seen him in action, and he had the gift of teaching. But then the next day a zealous woman, who struggled in leading one of our Sunday school classes, sat in that very same chair and bubbled out the words, “Pastor, I have a passion to teach. Would you help me advertise a small group Bible study that I can hold in my home?” I was amazed. She was biting off way more than she could chew. All in the same chair! What did those two people have in common? They didn’t have a balanced view of their gifts. A mature Christian works at that. God gives different gifts to different saints, and he intends that we use them powerfully and properly for the good of his church. To help us improve the way we use our gifts, let’s study these words from Romans 12 and work through the questions that follow. 3For by the grace given me I say to every one of you: Do not think of yourself more highly than you ought, but rather think of yourself with sober judgment, in accordance with the measure of faith God has given you. 4Just as each of us has one body with many members, and these members do not all have the same function, 5so in Christ we who are many form one body, and each member belongs to all the others. 6We have different gifts, according to the grace given us. If a man’s gift is prophesying, let him use it in proportion to his faith. 7If it is serving, let him serve; if it is teaching, let him teach; 8if it is encouraging, let him encourage; if it is contributing to the needs of others, let him give generously; if it is leadership, let him govern diligently; if it is showing mercy, let him do it cheerfully. 1. Look at verse 3. When you fully understand the grace of God, how does that lead you to not think too highly of yourself? When we fully understand that we are not only saved by grace but that also every spiritual gift and earthly talent is ours as a gift of God’s grace then we do not see ourselves as a superior person who has honed his or her gifts better than others. Instead we humbly see ourselves as a recipient of a gift, and we feel obligated to use that gift to serve others and not ourselves. 2. How do verses 4 and 5 give all of us a proper perspective of ourselves? In these verses Paul reminds us that we all have different gifts so that we can fit together with each other. We all belong to one another and not to ourselves alone. Then we will see our gift as a responsibility to serve all others for their good. 3. How do verses 6-8 lead us not to think too lowly of ourselves either? These verses remind us that we all do have gifts. God wants each of us to use them for the good of others. We waste precious time in our lives if we view ourselves as having nothing to offer the body of Christ. 1. List ways that church leaders can help fellow Christians understand how to use their gifts. Church leaders could carefully look over their roles and prayerfully evaluate each member of the flock, trying to decide what gifts they have to offer the church. Then they could approach that member based on their giftedness and ask them to serve. Too often we ask based on need and not giftedness. Secondly, there are several good spiritual gift surveys out there, and leaders could help members fill those out and then give their other leaders names of people who can serve in appropriate capacities. 2. How does a person find out what his or her spiritual gifts are? Usually, if you start helping out in the mission of the gospel at your church in ways that you like to help as well as in ways that seem to come easily to you, you will discover your gifts in those areas. Also you could take a survey on spiritual gifts or ask people who know you well what they think your gifts are. 3. Identify what you think is one of your more prominent spiritual gifts. Then list three ways you will put that gift to use for Jesus in the next seven days. When you get specific with yourself you will move yourself past the theoretical to real Christian living. If you have close loved one hold you accountable to this, you will see some definite fruit born for Jesus. 4. Think of someone you know who has a spiritual gift that is easy to see. In the next few days call to tell him that you appreciate that gift and how he uses it. Often the encouragement of a close trusted Christian friend will help another Christian get off of the sideline and into faith action. We need to stir each other up to love and good deeds. (Hebrews 10:24-26). This is the seventh article in a 12-part series on Christian maturity. Copyrighted by WELS Forward in Christ © May 2010 reprinted with permission. “What makes a Christian home different than a worldly one?” I once posed that question to a small group Bible study. One woman said that in a Christian home people respect each other more than in a worldly one. But I know some pagan homes where they respect each other quite well. Another said, “In a Christian home the people follow the Ten Commandments.” That’s true but many worldly people try to follow the Ten Commandments too. One person said that Christians have faith and worldly people don’t. Yes, but lots of people in the world have faith, even though it is the wrong faith. Finally, one mature woman said, “In the Christian home people have God’s unconditional love to share with one another.” She was right. Unconditional love is a defining mark of a Christian’s life. Scripture shares several examples of people who showed unconditional love toward others, including Jesus, the apostle Paul, and David and Jonathan. But one of the most revealing examples of unconditional love appears in the life of Joseph in the last few chapters of Genesis. Joseph had been deeply hurt by many people. His brothers tried to kill him and then sold him into slavery. That would be enough to catapult anyone into lifelong bitterness. Then, Potiphar’s wife framed Joseph for doing the right thing. Add the story of how Pharaoh’s cupbearer forgot Joseph in prison. Talk about traumatic stress! Joseph’s life could have been defined by deep sorrow and bitterness over, betrayal and neglect. But it wasn’t. Ultimately, Joseph forgave everyone who hurt him. After his rise to power he showed his true colors. True character shines through in how we handle our successes as much as failures. Study Joseph’s words below when he revealed himself to his brothers after being away for over 20 years. Joseph shows what unconditional love looks like. God enables us to have that same kind of love for those who hurt us. But first, if you do not know Joseph’s story well, read Genesis 37, 39–44. Then, focus your attention on Genesis 45:115 and answer the following questions. POINTS TO PONDER 1. Name at least three good reasons Joseph had for nursing a grudge against his brothers? 1. His brothers had robbed him of precious years with family that he could never get back. 2. His brothers had sold him even though he begged them for mercy as their dear brother. 3. Joseph had dreams from God that confirmed that Joseph was supposed to rise to power so he could mistakenly justify a grudge because God was on his side. 4. Joseph’s brothers were still rascals and that fact alone could make him hate them. 2. On whose anger did Joseph focus in verse 5? Why is this odd to human ears? He focused on their anger at themselves for having made such a mess of his life and that of their whole family. This is odd because usually the one who has been hurt spends most of his time focusing on his own pain and anger. 3. Single out Joseph’s words to his brothers in verses 1-15. How did Joseph know God loved him unconditionally? Verse 5: … do not be angry with yourselves for selling me here, because it was to save lives that God sent me ahead of you. Verse 7: God sent me ahead of you to preserve for you a remnant on earth and to save your lives by a great deliverance. Verse 8: So then, it was not you who sent me here but God. He made me a father to Pharaoh, lord of his entire household and ruler of all Egypt. Joseph knew God loved him unconditionally because God had guided his whole life through many troubles even though Joseph was a sinner like other sinners. Joseph saw God’s gracious hand using his life for the good of others. 4. What recurring theme in Joseph’s words shows how he received power to forgive his brothers long before they made any apology? God sent me ahead of you. Joseph knew he could let go of control of his life and emotions because his whole life’s story was not his own but God’s. God was behind the evil acts of his brothers to make something much bigger out it all. How could Joseph be angry about his little dreams now that he saw God’s dream unfolding? 5. What is the secret of forgiveness for a Christian? The secret of forgiveness is to realize that God forgiven you completely in Christ. When you live out your life at the foot of the cross beholding Jesus who died to give you his forgiveness, then you live to share that forgiveness with others. Then you are also free to consider how the hurts others cause you work into God’s plan to make your life a blessing to them and others. The bigger picture provided by the loving God empowers you to forgive them. FRUIT TO BEAR 1. Jesus has given each of us the same power to forgive as he gave Joseph. How has he done that? In the gospel and the sacraments (Baptism and Lord’s Supper) we have received, Jesus has shown us unconditional love, and we were the ones who hurt him. Once we realize that his forgiveness is totally free and that is comes to us in spite of our selfishness (Romans 5:8) then you get it—that forgiveness is something we give others because the forgiving Lord Jesus lives in our hearts and not because we think they deserve it. 2. Who has hurt you the deepest in life? Type that person an e-mail that sounds like Joseph’s words here. Include how God’s love and direction in your life have enabled you to forgive. Have someone you trust check your e-mail for true forgiveness. By writing this e-mail you will be able to rethink how God has taken the hurt this person has caused you and made good things come out of it for you and others. And if you actually send it, you will help this other person get a tangible example of God’s love in Christ is at work in the world around him or her. 3. Share at least three ways forgiveness reveals itself in a Christian home. 1. The people in the home are tender and loving toward each other even after many years of living together. 2. In their ongoing relationship they do not bring up past hurts in order to punish, manipulate, or guilt each other into doing things they want them to do. 3. They look forward to spending time together and provide support and encouragement for each other throughout life. 4. They are good at resolving any conflicts they may have. 4. Explain this statement: Forgiveness is a posture before it is an event. Forgiveness is an attitude that we as Christians have in our hearts because of Jesus Christ. It exists there in our hearts before anyone would dare to hurt us. So, when they happen to hurt us, we share the love and forgiveness that are already there. The event is preceded by the power of God’s love that is already there. You can see this in the life of Joseph. He had been filled with love and forgiveness long before his brothers showed up. This is the fourth article in a 12-part series on Christian maturity. Copyrighted by WELS Forward in Christ © February 2010 reprinted with permission. A 50-year-old woman sat weeping in her pastor’s study. “Pastor, I just feel so worthless,” she said. “I centered my whole life around my three children, and now that they are married and have their own lives, they don’t seem to need me at all. What am I going to do?” What happened to this dear mother? Feeling that you have no purpose happens all the time to all kinds of people. But God has given each of us a purpose that transcends every change in our lives. Our purpose is to help make disciples for Jesus until we take our final breath. There is a neat little story at the end of John’s gospel in which Jesus took the time to remind Peter and his friends of their true purpose in life. It comes after Jesus’ death and resurrection. Peter was in Galilee, and he said to his friends, “I’m going fishing.” They replied. “We’ll go with you.” It all seemed innocent enough, just some guys going fishing, right? Only God could see their hearts. They were floundering a bit. So, Jesus made sure they caught nothing that night. Just like when they were first called to fish for men, they fished all night and caught nothing. Then Jesus appeared and told them to cast the nets on the other side of the boat. Not much of a fishing tip, but as they pulled in the bursting nets they knew it was the risen Lord Jesus on the shore. What followed was a wonderful conversation where Jesus called Peter back to his life purpose—feeding God’s sheep and lambs. God wants every Christian to live with mission and purpose. He left us to bring the gospel to this lost world. Maturing Christians understand that there is no greater purpose for which to live. Before you go any further, get your Bible and read the story in John 21:1-19. After reading it, answer the questions below. 1. Why do you think Jesus made sure the disciples did not catch any fish that night? Just like when he first called them in Luke 5, Jesus wanted his disciples to come to the end of themselves and to realize that they were totally dependant on him for everything. So, they could not control their own success at fishing, nor were they supposed to get their significance in life from their fishing prowess. Instead he was re-calling them to be fishers of men. His forgiveness covered their past failures, and he still had work for them to do. 2. Why do you think Jesus asked Peter three times if he loved him? It is hard to overlook that Peter had denied knowing Jesus three times. It may have been to help Peter see that he was forgiven. It may also have been to emphasize for Peter and the others that if they truly loved Jesus who had saved them so selflessly then the way they could show that love was by being totally committed to the care and salvation of souls the way that Jesus was. 3. What do you think the “these” are in the question, “Do you love me more than these”? It could be the other disciples because Peter had said that even if all the others would run away that he would never leave Jesus and then he denied knowing him. Or the “these” could also mean the nets, the boats, and fishing. This second example seems to fit the context better. 4. What purpose did Jesus give Peter that superseded his job and his hobbies? Answer: Jesus was giving Peter the purpose in life to care for the souls of Jesus’ people both in outreach and nurture. Jesus was reinstating Peter and re-commissioning his life to the spiritual care of others. FRUITS TO BEAR 1. Name three pursuits that tempt you to make them the number one purpose in your life. 1. Often the desire to be entertained in our affluent society tempts us away from serving Jesus (i.e. movies, television, video games, hunting, golf, tennis, fishing, skateboarding, etc.) 2. Sometimes it is the constant clamor inside to make more money so we can keep up with the materialism around us. 3. Sometimes it is the pursuit of prominence and power at work or among friends that distracts us from serving them with God’s Word. 4. Peer pressure. 2. Not all people are gifted to teach and lead like Peter, but how does this story still apply to you no matter who you are? I can draw from this story that Jesus wants me to support the work of his church to care for souls by using whatever gifts, talents, time, abilities, and influences I can to advance his Word in the lives of people. It may be that by supporting a teacher more gifted than me that I help reach others for Christ. 3. List at least five ways any Christian can fulfill his or her life purpose no matter what stage in life. 1. By praying for others. 2. By sharing God’s Word in cards and e-mails. 3. By inviting people to church. 4. By sharing Bibles, books, DVDs, CDs, and other Christian media with people who need it. 5. By encouraging and supporting others who preach and teach God’s Word. 6. By witnessing from our sick bed or any other place God puts us. 4. Try to think of the person in your life who seems to live consistently with a sense of mission for Christ. Write that person a letter sharing how much his or her missionmindedness has helped you. By writing this letter you will help yourself to see how the mission-mindedness of others affects you. You will also help this person continue on in his mission to reach the world for Christ. 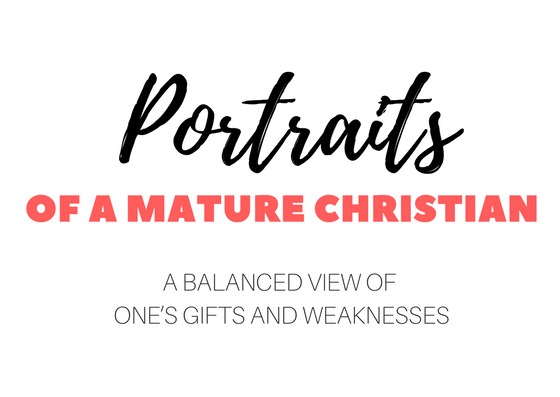 This is the third article in a 12-part series on Christian maturity. Copyrighted by WELS Forward in Christ © January 2010 reprinted with permission. I thought it should say. I was embarrassed. wants us to know. When we change that, we misrepresent him to ourselves and others. Christians work hard at handling God’s Word correctly. ashamed and who correctly handles the word of truth. with us while we are teaching. teaches is truly biblical teaching? even miss out on salvation if we don’t teach God’s plan of salvation correctly. 3. What exactly does it mean to “correctly handle the word of truth”? truly saying and then truly saying it the way it was intended. 4. When the truth is handled correctly, what happens for the hearers? the people God wants them to be. you have had with friends and family over Scripture. What passages have been misused? Christians when some of those laws were meant to become obsolete when Jesus came. grace in Christ. If you discuss your list with others, it will be a fruitful conversation. respond by telling what they learned from it. Copyrighted by WELS Forward in Christ © April 2010 reprinted with permission. A mature Christian has a deep trust in the power of Jesus’ gospel. “saw” to do the work it was designed to do. His saw is the gospel of Jesus’ love for us. us and make us eager to do good works for God. 11 For the grace of God that brings salvation has appeared to all men. 12 It teaches us to say “No” to ungodliness and worldly passions, and to live self-controlled, upright and godly lives in this present age, 13 while we wait for the blessed hope –the glorious appearing of our great God and Savior, Jesus Christ, 14 who gave himself for us to redeem us from all wickedness and to purify for himself a people that are his very own, eager to what is good. 1. What does Paul say the gospel teaches us? How does it do that? not only from the guilt of our sins but the desire to sin. When we come to faith in God who loved us so much that he gave us his Son to cleanse us from our sins, we actually don’t want to sin like we used to. Instead we want to remain clean because we like it. We also love him so much we want to do what makes him happy. It is not a fear of breaking rules and reaping the consequences that motivates us. Instead it is the power of love for God that works within us. for? He redeemed us from all wickedness that held us like slaves. He redeemed us for living a pure life for him as we are eager to do what is good. having our status as a weak sinner changed into a powerful free saint? pays a ransom for you. God is saying that Jesus spent his own blood to win our release from sins and the guilt and death they earn for us. Once he has purchased us, he takes us to himself and makes us his children. We are no longer slaves but real family members. As family members and heirs of his estate on earth and in heaven we have a new status. We do not have to be ruled by sin any longer. We are free to live for God. ability to do good works for God? When we were baptized the power of our old Adam died and the resurrected Lord Jesus came to live in our hearts. Because he is in our lives we can ask him at any moment to help us say “No” to a temptation, and he will give us the strength to resist it. He also empowers us to do good things for God by the power of his love working in our lives. If we ever feel weak and doubt that he is there for us, we need only to remember that we have been baptized, which assures us that the Spirit of Christ is in us. 5. Explain how the gospel makes us eager to good works. Before we learn the good news that God loved us so much that he died for us, we see God as a stern judge who will some day condemn us in our sins. But when we realize that although he could have judged us that he instead took that very judgment upon himself, we fall in love with him. Then we want to give back to him our love and devotion. He gives us direction through his Word as to the ways he wants us to show that devotion. We eagerly do our best to fulfill his wishes from a heart that wants to and does not feel compelled by guilt or shame. means to you to be Jesus’ very own. To be his very own is to be owned by Jesus in his very heart. It means to be very special to him and to be watched over, guided, and improved by him. Jesus calls us brothers and children in his home. When we meditate on this one thought, we will feel secure and significant no matter what is happening to us our little corner of the world. pressure from rules? Here are some: Abraham, Joseph with Potiphar’s wife, Joshua, David, Daniel, Jeremiah, Joseph and Mary, John the Baptist, Peter, the apostles John and Paul. Copyrighted by WELS Forward in Christ © December 2009 reprinted with permission. The life of a believer gives us an example of noble Christian character. I love the little verse 1 Corinthians 1:26: “Not many of you were wise by human standards; not many were influential; not many were of noble birth.” Paul was bringing the Corinthians down a notch because they were becoming conceited in their newfound faith in Christ. But I like the verse for a different reason. It makes me think of the “not many” Christians I have met who actually are noble and wise in God’s eyes, even though they weren’t in the eyes of the world. Elaine Poldrack is one of those “not many noble” Christians. Elaine grew up in a modest Texas town called Taylor, just a short distance northeast of Austin. Her family had enough means to hire household help—think of the movie “The Help.” Elaine married early, and God blessed her with a wonderful marriage to a church leader, Nelson, for 60 plus years. She taught high school biology for many years. She and Nelson reared two wonderful children. Elaine had a rich, beautiful Southern accent. She was the first person to answer the phone when I was assigned as her pastor 25 years ago. What a breath of fresh air for my Southern ears! But frankly, it wasn’t really any of those blessings, great as they are, that makes me classify Elaine as one of the “not many noble” Christians about whom Paul was talking about. Three things make me see Elaine as a noble Christian. First, she treated every person she met as an aristocrat worthy of her utmost respect, even those people cut from roughhewn lumber. Anyone who interacted with Elaine felt their own worth increase just by the gentle and respectful way she treated them. Second, Elaine made Christ the center of her heart and life. She prayerfully attended worship and Bible class and made thoughtful comments about the Word of God she was hearing. She had a personal devotional life. When I had my first call to another congregation, Elaine called me up and carefully told me how Jesus had used me to bless her life. Then she prayed with me over the phone, asking God to give me wisdom and freedom to make the right choice. Later when we moved out of our old sanctuary, Elaine humbly asked if she could have one of the old hymn boards. She proudly hung it in her kitchen. She would put signs in the slots to match the seasons of the church year. This way she preached Christ to family and guests. At Easter, the words “He is risen!” graced the hymn board. Every Valentine’s Day she would hand write about 25 to 30 greeting cards with Jesus’ love or words laced into her messages and send them to friends. Elaine deeply respected our church leadership; she wanted to help the men of our church as they led the flock. In the last five years of her life she sent all the elders a weekly e-mail that told them which church members were ailing or needing visits. She reminded them of member’s birthdays and anniversaries. She even bought the elders cards so they could send them to members. In my 25 years as her pastor, Elaine took on two other big projects at church. She wrote a history of the congregation for both the 25th and 40th anniversaries, and she also wrote a manual for people to use when making arrangements for their own funeral. She constantly was busy making encouraging phone calls and sending e-mails and handwritten notes. I can’t remember how many times I would find an interesting religious article lying on my desk that Elaine had cut from the paper. What a noble Christian! However, the final and most telling reason Elaine is among the “not many noble” Christians, in my mind, has to do with the way she handled a major cross in her life. For more than 44 years, she suffered from crippling rheumatoid arthritis. All of that ministry I described above sprang from a heart healed by Jesus and a body left to suffer terrible pain. All those handwritten letters and notes were etched in beautiful script by hands that ached and burned. The hours sitting and listening to the Word of God were accompanied by terrible back pain. Pain was her constant chaperone, but Jesus was her constant help. Elaine was able to stay in her home with her family until the very last few months of her life. But even while she was in the retirement home, she found a way to proclaim Christ. She helped arrange for a small Bible study group from our church. They were invited to come to the retirement center and meet with her and a few of her new friends. She wanted them to hear about Jesus too. Her location had changed but not her mission. Elaine is now one of the great cloud of witnesses talked about in Hebrews: “Since we are surrounded by such a great cloud of witnesses, let us throw off everything that hinders and the sin that so easily entangles” (12:1). When I think of her, I picture Elaine sitting in the grandstands watching the rest of us run the race. I think of her endurance, her respect for others, and her faith in our Savior who has given her a place in those stands. Just thinking of her, I want to respect others more completely, encourage friends and family more purely, and ignore my troubles more bravely. I want to throw off the sin that so easily entangles me and run my race in honor of our Creator and Redeemer just as she did. I will never see myself as one of the “not many noble” Christians. But thanks to Elaine, I know what one looks like, and I will aspire to be like her to the glory of God and the good of his church. I think others she touched will too! Donald Patterson, pastor at Holy Word, Austin, Texas, is president of the South Central District. Copyrighted by WELS Forward in Christ © January 2017 reprinted with permission.